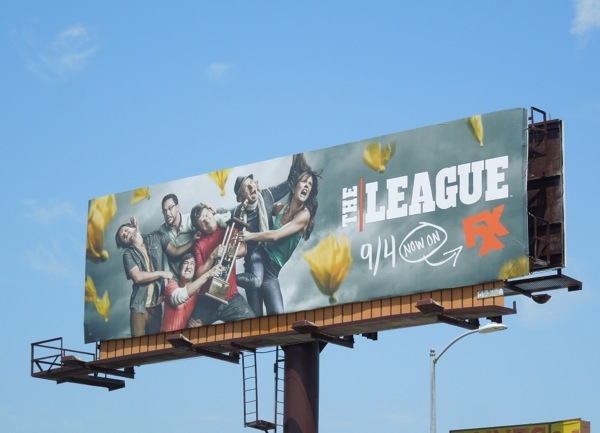 The League kicks off for another season today, its fifth, but this time the semi-improvised sitcom makes the move to FX's new comedy channel, FXX, to join the likes of It's Always Sunny in Philadelphia. 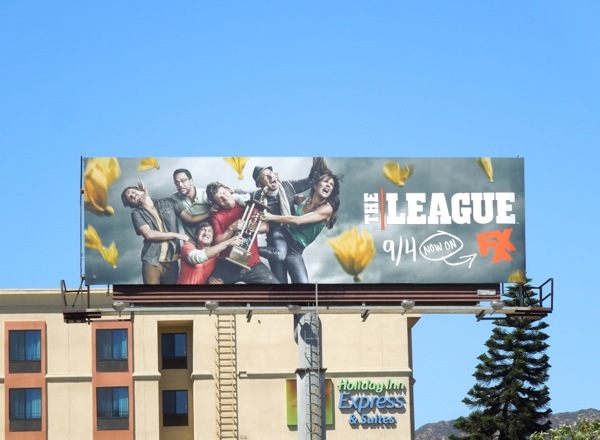 This sporty billboard featuring Mark Duplass, Nick Kroll, Paul Scheer, Stephen Rannazzisi, Jon Lajoie and Katie Aselton perfectly conveys the comedy series which revolves around a group of six friends participating in a fantasy football league, who'll do anything to win and take home the trophy. 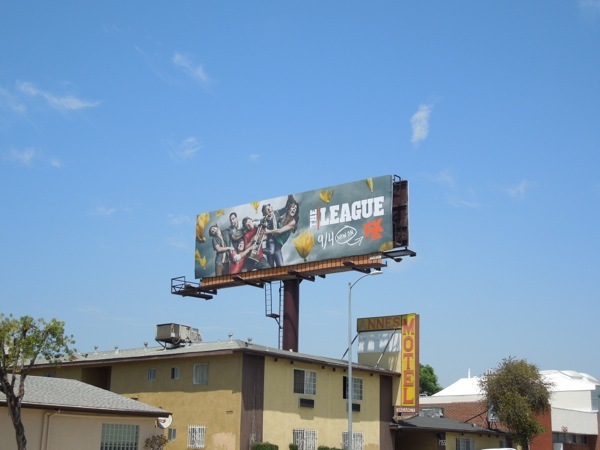 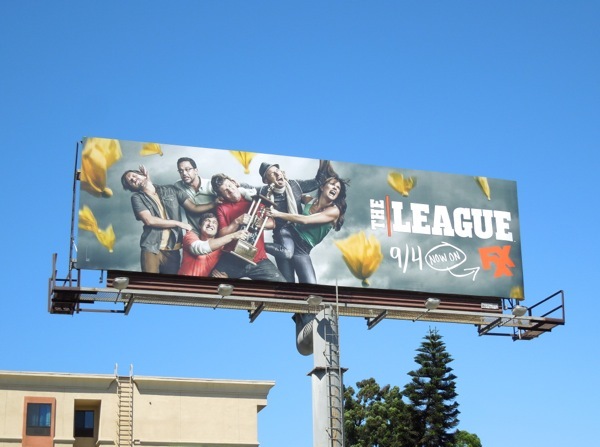 These autumnal season five billboards for The League was first spied along La Cienega Boulevard on August 15 and along Highland Avenue on September 4, 2013.